This program is designed for athletes to explore who they are and how to reach their potential. Please work closely with your mentor while taking this course. It may be smart to talk with other friends and teammates about what you are learning. There are 7 Sessions in this program. Do you have the will to win and where does it come from? This video looks at our identity. Am I defined by sports? Am I more than that? I am sure you have already experienced it. Every athlete has at one point or another. How do you handle pressure? The pressure of the championship game or the pressure to make the game winning shot or the pressure of trying to make the next team. Are you a coaches dream or a coaches nightmare? Do you need to be coachable to be successful? What do you want your sport legacy to be? 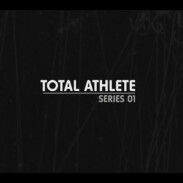 In the final part of Total Athlete Series 01 we explore what that could be.